We have finally experienced a snowfall worthy of calling a snow event. And while it wasn't "Snowmaggedon, or Snowpocalypse", it certainly brought us enough. I estimate we saw in the neighbourhood of 15 to 20 cm, and finally gave all of our snow clearing equipment a workout. By now, everyone is aware of the provincial legislation instituted in 2009, regarding the use of Class 9 pesticides in the province of Ontario. It has been well documented on this blog and member updates over the past few years, so I won't go into the details of the law. However, I want to give you an update as to where we sit with this program as of today. 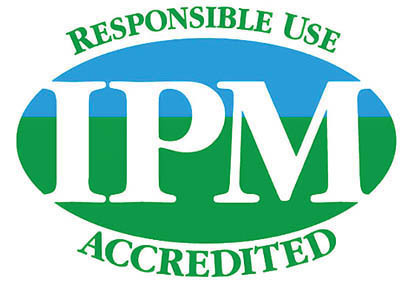 Last week, Sawmill Creek Golf Resort and Spa, successfully became Level 2 accredited with the IPM Council of Canada. To become Level 2 accredited, a golf course must successfully complete two annual desk audits, and an on-site audit with a government appointed auditor. Last Thursday, we had the auditor on site, and after a very (and I mean very!) thorough audit of our books, we successfully received our Level 2 accreditation. Now starting in 2012, each and every golf course must also hold annually, a Public Meeting to present our annual report regarding Class 9 pesticide use. This meeting will consist of a short introduction into the use of Class 9 pesticides at Sawmill Creek, followed by the total amount of use in 2011, and the reasons for its use. It will be held here at Sawmill Creek on Thursday February 9th, at 9:00 am in the banquet hall. The public meeting will be advertised to the general public in The Sarnia Observer on Monday Febraury 6th, and all are welcome to attend. The Annual Report which will be presented at this meeting, can be found at the IPM Council Canada website by following the link's to golf courses.